The Eleaf iStick is one of the most well -known brand names in the world of vaping, and for good reason. Mods in this iconic series have always been user-friendly, reliable and, perhaps most importantly, very affordable. 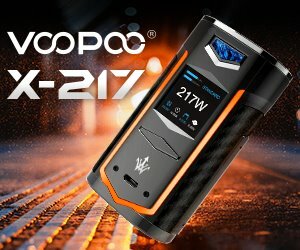 For years, the Chinese company has been at the forefront of innovation in this highly-competitive industry, and the newest addition to the iStick series – the iStick PICO 75W – proves that they still have an edge. As you’re about to see, there is more to this little device than meets the eye, and when paired with the new Melo 3 Mini sub-ohm tank, it’s just a lean, mean fog-making machine. 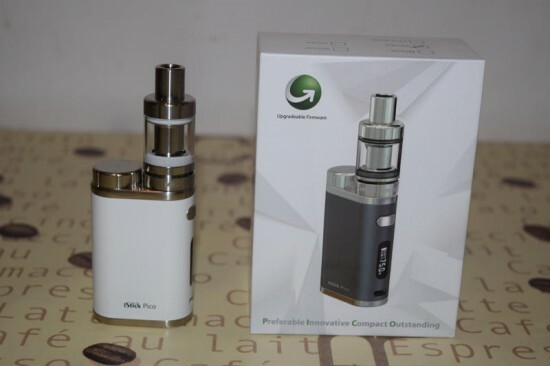 The iStick PICO starter kit comes in a plastic-wrapped white cardboard box and contains a 75W iStick PICO micro-mod, a Melo 3 Mini tank, two EC coil heads (0.3Ω and 0.5Ω), a USB cable, beefy user manuals for both the mod and the tank, and a small bag of spare o-rings. 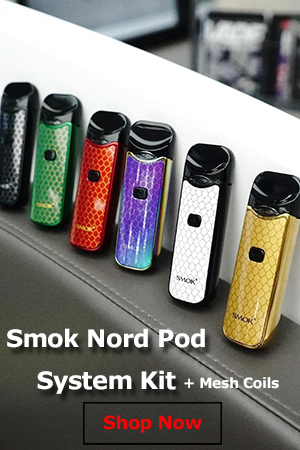 It’s a complete package that reminded me of the SMOK R80 starter kit that I reviewed not too long ago, in that it’s a good option for intermediate and even beginner vapers who want to make the switch to advanced mods. In this case, all you need is an 18650 battery, some e-liquid, and you’re good to go. The first thing you notice about the iStick PICO is its reduced size. At just 70.6 x 45.2 x 23.2mm – not including the Melo tank – it’s definitely the smallest box mod I’ve ever used. Even if you have tiny hands, it’s really comfortable to hold and fits in the smallest of pockets and purses, so definitely a plus on portability. But, here’s the really interesting part – the PICO is actually shorter than an 18650 battery, so do you get one to fit inside the device. 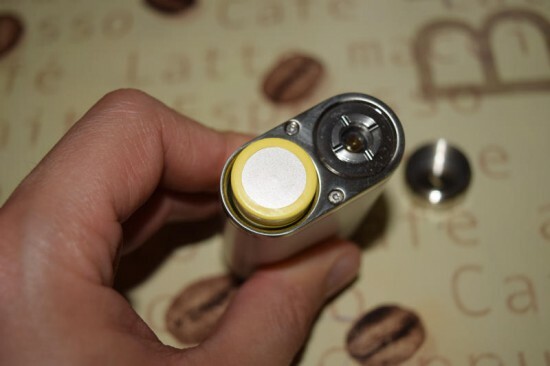 This is another one of those innovations Eleaf is known for – they came up with a battery extension cap (the round thing next to the 510 connection, which allows the battery to protrude a little. 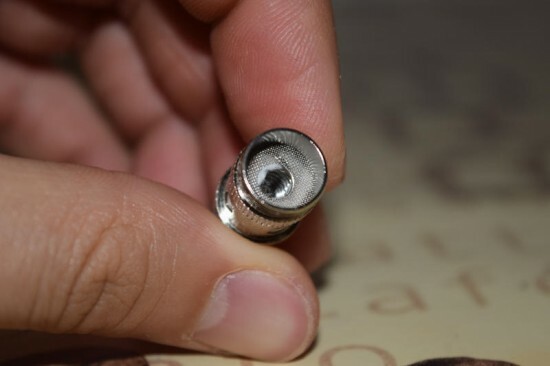 The cap is super easy to remove and put back when you need to replace the battery and doesn’t get in the way at all when you need to screw on a tank or fiddle with the mod. It’s a new design that might not sit well with everybody, but it serves its purpose – accommodating an 18650 battery while keeping the size of the mod as low as possible. Another interesting thing about the iStick PICO’s design is the positioning of the buttons. A curved fire button sits flush on one side of the device, right above a fairly large LCD display and a micro-USB charging/update port. But this is a variable wattage/temperature control mod, so where are the ‘+’ & ‘-‘ buttons needed to make the necessary adjustments, right? Well, Eleaf placed them on the best place for them was the bottom of the mod. They are positioned in a small curvature so they are flush, meaning you don’t have to worry about them getting pressed by accident when you place the iStick PICO on a flat surface. Having gotten used to these buttons either on the side or on top of the mod, I found their positioning a bit awkward at first, but I quickly got used to it and eventually got to appreciate the cleaner look of the mod. The LCD display is fairly large for the size of this mod, and unless you have serious vision problems, you should be able to read all the information easily. In standby, the screen displays the set wattage/temperature in larger font, and the resistance and voltage in smaller characters, next to the battery life icon. When the fire button is pressed, the screen switches to a puff timer. I give the iSTick PICO 75W an A+ on size and design. Not only is it extremely small and easy to carry around, it’s also quite the looker. 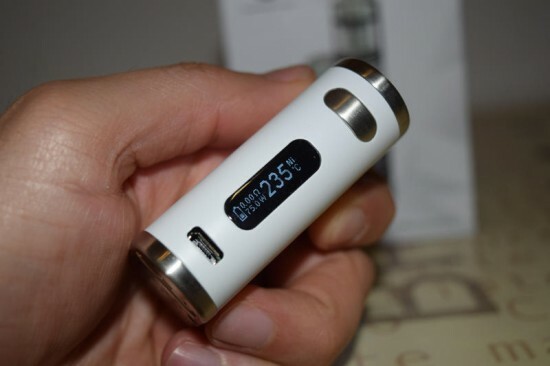 I received the white version for this review, and it looks absolutely stunning, with its brushed metal top and bottom frames, especially when you attach the stainless steel Melo 3 Mini tank. Aesthetically, the battery extension cap may be a con for some vapers, but I for one have no problem with it. It’s an ingenious solution from Eleaf, and actually makes the mod look interesting and unique. But aesthetics can only carry a mod so far, as its overall quality usually comes down to features and performance. Luckily, the iStick PICO is very strong in both departments. 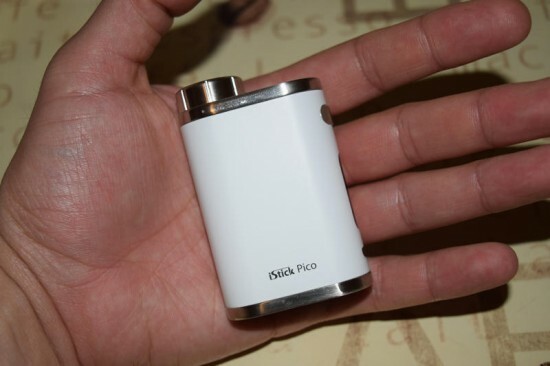 First of all, the PICO is iStick’s first upgradable firmware device. They have since launched a second one – the iStick TC100W – and will probably include the feature in their future releases. This allows users to upgrade their devices by simply connecting them to a Windows computer via the micro-USB port. So if iStick decides to upgrade the PICO to say 100W instead of the current 75W, or if they want to add support for a new material in temperature control mode, you can improve your mod with a simple firmware upgrade. Just remember to keep an eye on the USB cable included in the kit, as not USB cables are capable of data transfers. Since the iStick PICO 75W is a single battery mod, the micro-USB port can be used for both upgrading and charging the device, saving you the trouble of having to use an external charger. The average-length USB cable also allows you to use the PICO as a passthrough, while it’s charging. The menu of the iStick PICO is unusually complex for such a tiny, basic-looking mod. But as we all know, looks can be deceiving, and this is a perfect example. There are a bunch of features to explore, and a series of button combinations to make accessing them as simple as possible. For example, browsing through the various modes can be done by pressing the fire button 3 times in rapid succession. Then you will be able to select from Wattage, Bypass (Mech mode), and Temperature Control for nickel, stainless steel and titanium. You also have 3 different memory modes to choose from, each with its own TCR (Temperature Coefficient of Resistance). 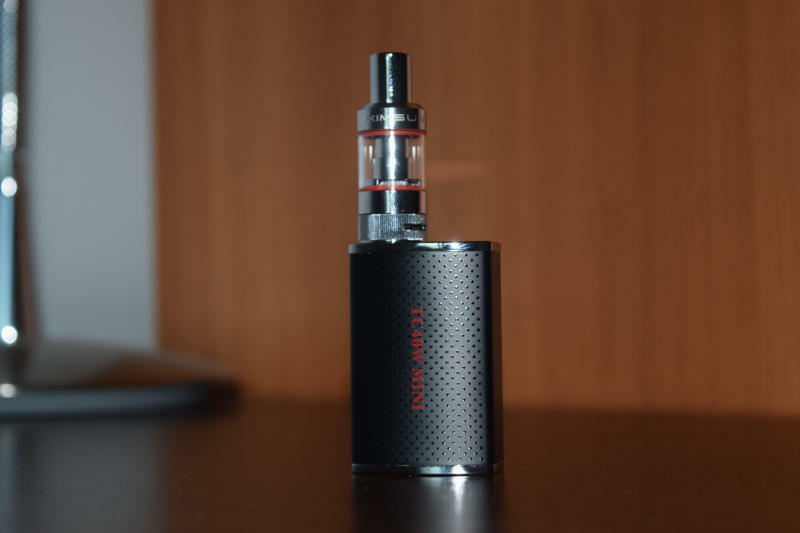 To set the TCR, first turn off the iSTick PICO by pressing the fire button five times rapidly, then press the fire button and the ‘+’ button together for five seconds. You’ll see ‘M1’ show up on screen along with a numeric value that you can change to the resistance coefficient of the type of wire you’re planning to use, by using the ‘+’ and ‘-‘ buttons. Repeat the operation for M2 and M3. This is an advanced feature that casual users probably won’t mess with, but it really speak volumes about the capabilities of this tiny device. But there are a lot of simpler features to mess with, like pressing the ‘+’ and ‘-‘ buttons while the iSTick PICO is turned off, in order to flip the screen, or perform the same operation while the device is turned on to lock the ‘+’ and ‘-‘ in order to make sure you’re settings don’t change by mistake, like, for example, when carrying the mod in a tight pocket or a purse. To unlock, just press the buttons again. You can also put the iStick PICO in stealth mode (turns off the LCD display) by pressing the fire button and ‘-‘ button while the device is turned on, and check battery voltage by pressing the fire button and ‘+’ while it is off. There are a ton of these shortcuts to play with and the beefy manual, which comes in six languages, does a great job of explaining every feature of the mod in great detail. If you’ve read any of my previous TC mod reviews, you know I am not the biggest fan of temperature control, but that’s just a matter of personal preference. If you prefer using your mod in TC, you’ll be glad to know that the iStick PICO 75W supports nickel, titanium and stainless steel, and comes with the TCR feature we already mentioned above. Picking between the different wire options is super easy – just press the fire button 3 times and scroll through them using the buttons on the bottom of the mod. But the big question here is, does temperature control on the iStick PICO actually work? Well, the dry burn test definitely suggests so. I only tried with a stainless steel coil I made myself, but apart from the top 600 degrees setting, where the cotton was quickly charred, at lower temperatures of 400 and 500 degrees, temp protection only left light brown marks on the cotton. That’s a pass in my limited experience with TC, but even if it turns out there are some problems with temperature control for the other supported materials, iStick can quickly fix them via a firmware upgrade. The iStick PICO 75W is a really, really nice mod, but it’s only half of what makes the PICO starter kit so great, the other being the Melo 3 Mini tank. It has an e-liquid capacity of 2 ml, which may seem like very little, when compared to big boys like the SMOK TFV4, or the UD Simba, but it is a ‘mini’ tank, and most importantly – and I suspect intentionally – it is compliant with the new EU tobacco directive scheduled to come into effect this year. And while 2 ml may not seem like a lot, the Eleaf EC coils that come with the Melo 3 are not as thirsty as the coil heads for the TFV4, so you burning through juice as fast. 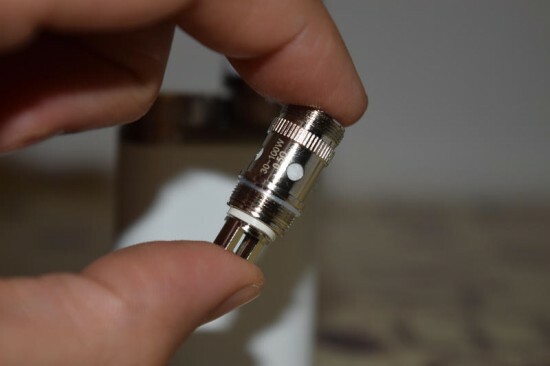 The top part of the Melo 3 Mini tank is made up of a thick stainless steel drip tip that is supposed to remain cool even when chain-vaping at high wattages, and a detachable top cap that conceals the top-filling system. Just unscrew the metal cap and pour juice inside the tank through the two large side slots, NOT the center chimney. In the lower section, under the glass tube, we have a stainless steel ring that conceals the tank’s adjustable airflow system. This particular design element really improves the overall look of the tank especially when it’s mounted on the iStick PICO. The two just seem made for each other, and without any visible large cyclops air slots, the tank just seems like it’s fused to the mod, like they are a single piece. The Melo 3 Mini comes with two classic Eleaf EC coil heads (0.3Ω and 0.5Ω), which are both made with Kanthal wire, apparently, although I personally read that online, as I couldn’t find any reference to the materials used either in the manual or on the packaging. That’s a small con in itself, the other being that when selling a temperature control capable kit, you might want to include at least one TC-capable coil head. This doesn’t seem to be the case with the PICO starter kit, for some reason, and I’m sure TC enthusiasts will be more than a little disappointed. Luckily, I’m a wattage mode guy, myself. The Kanthal coil heads that do come with the Melo 3 are pretty good though. When used properly, they put out tons of vapor and above average flavor, though definitely not on the level of an RDA or even an RDTA like the SMOK TF-RDTA. But for a tank, flavor doesn’t get much better than this. One thing you always have to keep in mind with this style of coil head is the break-in period. 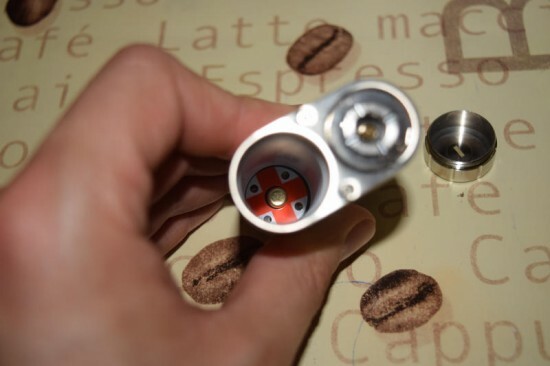 Even if they have a rating of 80W and 100W respectively, don’t crank the power too high at first, as you have a good chance of burning the wicking and ruining them. After a few hours of moderate power, you can crank the iStick PICO all the way up to 75W and enjoy a great vaping experience. Another great thing about the Melo 3 tank is that it uses the same type of coil heads as the Aspire Triton or Atlantis, so you have the option to try various resistances, materials and even Clap-ton wire, if you’re into experimenting. 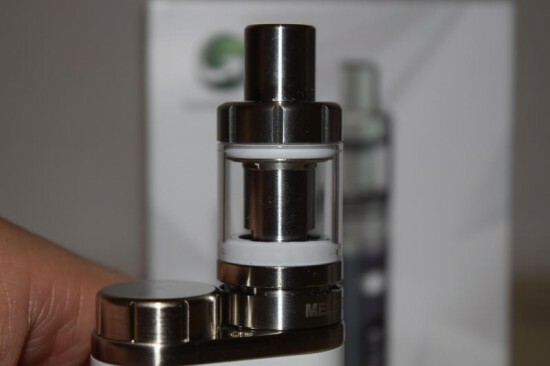 The bottom line on the Melo 3 Mini – it’s a great little tank. Vapor production is outstanding, flavor is right up there with the best tanks, the design is great and, one thing I personally care very much about, it does not leak, ever. So is the Eleaf PICO starter kit worth your hard-earned money? Hell yeah! Whether you’re an intermediate vaper looking to upgrade to an advanced setup, or a veteran in search of a small-size but powerful mod packed full of feature, the iStick PICO 75W-Melo 3 Mini combo is perfect. 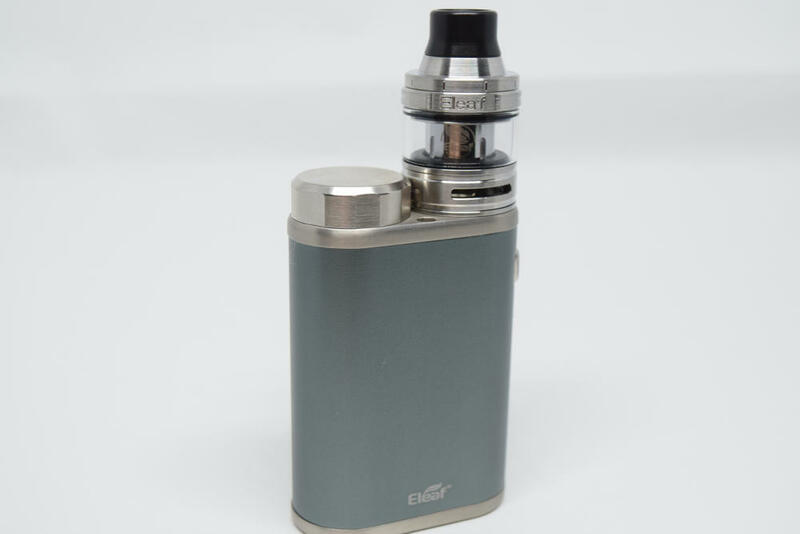 It lacks TC capabilities right of the box due to the lack of TC coils, but you can get those separately, and I’m sure Eleaf will fix this in future iterations of the kit. Other than this small con, I can’t think of a reason not to like the PICO. Plus it’s just around $40 for a mod AND a great tank, so it’s really a great deal, value wise. 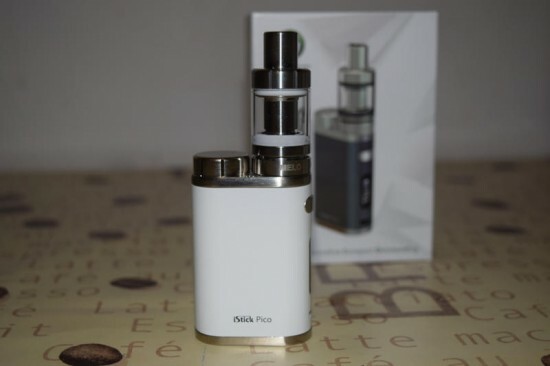 The Eleaf iStick PICO kit was sent to me by Heaven Gifts for the purpose of this review. @Reybert, sounds like your device is in ‘stealth mode.’ Just take off stealth mode setting, and you should be golden! I’m having the same problem ! Did you ever figure out what was wrong with it? Same problem. Connected to my Windows 10 computer, and nothing at all happens, except it shows that it is charging. What’s up with that?? I got mine as an exchange for a brand-new istick 100 TC, which was also defective. Used one day before the door battery fell off, rendering the boss useless. If this one also dies, it’ll be my last eleaf purchase. Sorry about the typos. Darn spell-check. Should have read “battery door, “boss” should have read box..
@Lenny, re ‘upgrade,’ did you download the Pico upgrade off Eleaf’s website? You have to do this first, then follow their directions (video provided on same page as the firmware update). Hope this helps. you have to download the software from the eLeaf website, unzip and then run the .exe file and it will ask you for the software file which is a .bin file. I’m new to Vaping and I’m hooked. Two weeks in and the only issue I had was a leak but that was due to my poor first assembly, I was being to careful not to overtighten things. I think the Melo 3 Mini is a little on the Small side but I have spent the first two weeks chain vaping cause I cant get enough of the flavour. 3 ohm is too high a resistance, you need a lower resistance coil. For example, an 0.5 ohm coil can be used at around 30 watts, so yours works at around 5 watts. Are you sure it’s not a 0.3 ohm coil? That should need a lot more power to produce decent vapor, though, and you wouldn’t be getting any burnt taste at 15 watts. Thank you vranks, inproper priming of the 0.3 resulted in a fried ec. Switched to 0.5, vaping up to 50 and 60w now. I recently bought me this kit, im using a 0.3ohm coil, my juice im using is 12nic 65pg/35vg , i put it at 16 to 20 watts, and it heats so much that i cant even pull in..
Is there something that im doing wrong? i dont know which settings are appropriate cause there is so many, i just stay in wattage option. Should i change my juice? And what is the best setting for this device? I think the issue you are having is not the heat, it is the nic level. I have been vaping awhile and can only use as high as 9mg at that wattage. If you want to stay at 12mg nicotine, please get a higher ohm coil (1.0-1.8) should be good and try your wattage around 12 watts. Maybe 15 if you go with the 1.8 coil. Good luck! Terrific review!! I am new to the vape thing and wanted to try something that had a good enough hit that would help me to quit smoking. Worst, senseless, and most foolish habit that I wish I never started. Anyhow, the Pico was highly recommended and I couldn’t be more pleased with this unit!! 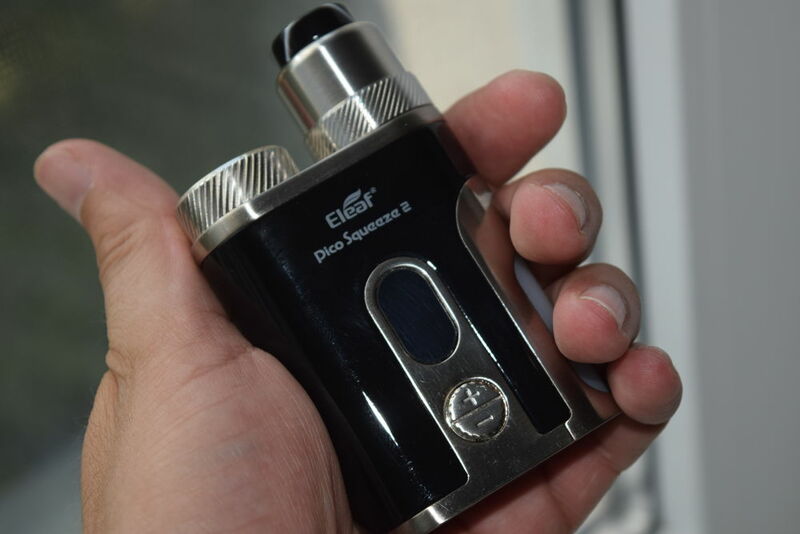 I am really critical of the build quality of anything in it and the eLeaf products just seem to be terrific quality and this Pico is no exception. The combination of the amount of vapor/completeness of atomization at relatively low wattage that gives great flavor profiles, the comfort of its design with the way it feels so comfortable in your hand (pinky underneath, forefinger over the removable battery cap, and thumb laid over the nicely curved hit button), the fact that it has a removable/replaceable battery, extremely good build quality, and that it comes with a terrific and well designed Melo 3 tip all for a very reasonable price really tells the story why this is one of the best selling vape units out there. It really is a very complete and very convenient little unit. Because I am not satisfied with one unit and like a variety I also bought the COV Mega Volt as a compact unit as well and also fitted it with the Melo 3 tank/tip. Now that little thing packs a HUGE punch for its size and gives terrific flavor. It’s also a very sweet looking little unit aesthetically. But, it has a contained lithium polymer battery that cannot be removed regularly like the Pico. With the Pico I grabbed a couple extra batteries and protectors) and a charger cradle to have a fully charged battery always on the ready which is a great option. If a battery goes dead for any reason, just stick a new one in. Nice option. So having the two to compare, if I was relegated to having one or the other based on the overall performance and convenience I would choose the Pico hands down. It really is a terrific well made unit with excellent performance for a compact regular use unit. I had the same issue and it was actually the air flow. Figured that out on accident. Now it’s perfect. You can open/close the airflow right below the tank. Hard to see, but in good light you can see the vent. no, it doesn’t fit because of the battery extension cap. I just purchased it few hours ago, and it feels like the mod is getting warm to hot when on standby mode. is this normal? hope I can get a quick reply so I can return this really fast. Hi, mine never gets warm on stand by, but it does when vaping (depending on watts and chain vaping though). But, it never gets hot, just warm. Yours may be faulty? Well I dunno but honestly I don’t think it’s normal that it heats on stand by, cause I soemtimes forget to swith mine off, leave it for hours on my desk and it always remains cold when not in use. I think you should contact your retailer for this issue. PS : Sorry I forgot to tell you to check out your battery!! Heat often comes from battery (damaged, poor quality etc..). Make sure you use the good one! I use Samsung INR 18650 25A 2500mAh. How can i put à clock as à logo on Istick pico? I’ve been using it for nearly 2 months now without any issue except that the fire button rattles more now. I heard this issue is common to any kinda Istick. I hope this switch will last a fair time and won’t get stuck like the one of my last “Ego One” which died after not even 2 months of daily use! A real s*** sorry. even using mappa gloves! I own another material to vape so it’s ok for me when it happens. But folk who only owns this kit could get mad and break it by applying force! Battery don’t last the whole day for me, you need at least 2, and keep a spare one always fully charged and protected in your bag when you’re out. Melo 3 could hav been more convenient for a topcap filling tank. The trick I have found to unscrew to change coil is tweezers. Take off atomizer and top cap from atomizer take tweezers and slide one side of them down through fill slot to keep it from turning. The grip bottom with one hand at top plus tweezers with other and firmly twist counterclockwise and it works for me everytime. When i press the main button the screen reads “lock ” This does not relate to the wattage buttons. Help. My Pico is stuck on 75 watts and I can’t get it back down to 35 or 40 it just says lock when I try to do it. Will the eleaf istick pico 75w be compatible with an aspire nautilus tank? yes, the Nautilus is 22mm in diameter, so it fits. Anything larger than that won’t work because of the raised battery cap. M a newb, some say not to charge my battery directly by using cable instead buy an external charger, have to remove battery everytime i charge it..is it true that this may cause the item to explode if you charge it directly? Love this little vape. But recently, somehow it was put in lock mode, and I can’t and don’t know how to unlock it.. Help !! Looking into quitting smoking. I definitely want to buy the Eleaf IStick Pico. I also want to get the Aspire Nautilis X. I just don’t know what kind of liquid to get. I want something that will help me stop smoking cigs, and won’t damage the device Bc of too much VP. I’m sorry I know nothing about this stuff, so any help would be much appreciated. Hi, my eleaf istick 50w is leaking hhru the air holes and te button you hold down to make work. I am frustrated. I also have an aspire Atlantis evo extended kit and am having the same problem. PLEASE, what am I doing wrong. I love my eleaf SO MUCH BETTER. I just want that one to work. Thank you so much. Have a good day. I’m using an ECL 0.18 (stainless) end the TCR mode at 400 degree F and 40 watts. It is fantastic. Tons of cool smoke and my wick doesn’t get burned. Just got this beautiful set up last night. Kinda new to all these settings. I’m a heavy vapor, love getting the taste and the feel of the vapor. Can someone please tell me which settings I should have my vape on? I don’t wanna burn out my coil, and I’m not sure which wattage or temp or whatever to have it on. I’m using the .3 coil that came in it. any help?!? The eleaf I stick pico is an awesome little vape, I honestly love this mod! I have many mods and the pico is my favorite, can’t go wrong with this thing. I am using the aspire cleito tank with seduce juice exodus 7:20 and it is amazing! When gaped at 35 watts with this tank and juice it is heavenly! Excellent review, very detailed… I personally love this mod. I bought a bunch of them on sale, and have 3 in use right now. Nothing beats it for the price. I don’t have the Melo. I like tanks that I can rebuild. I’ve had my eleaf 75w for about 2 months the power button quit working. just wanna ask one thing, which one is better the eleaf istick pico 75w or the smok alien kit 220w? I got mine last december 26, 2016. My problem is the puff timer is gone how can i put it back? Everytime i puffed, the screen suddenly off and then comes back after. Also when i puff it taste burnt. Need help please, is pico need cotton? I love my Pico, using it for 2 months now no problem, but 2 days ago, i noticed that it is auto-firing when going to sleep mode, even when i try to turn it off(press fire 5x). Hope somebody can help me. I dropped mine in the toilet for 1 second, took it apart and now i am letting it dry…is this ruined? Mine leaks like a sieve. It smokes breat, but the leaking is ridiculous. Ive looked up the problem in several forums and it seems to be a design flaw ppl live with. I think its something I cant live with. Worst device ever. It’s garbage. Do not get the istick Pico. I’ve had my eleaf mini 3 for a few months and I’m having a problem with the battery cap not staying on. I tried to find another battery cap online but I’m having the no luck at all. This is not a good product. Stopped working after the warranty expired. The screen on the side failed. It wouldn’t take a charge. Pulled the battery and charged it in a charger. Still no love. Bought a better product and used the same battery. Everything is good now. Save yourself some money and get a quality product. Or buy this and then buy another in 4-6 months. I have to press the fire button once to get the screen to turn on and I then again to actually fire it. Why do I have to press it twice? It falls asleep after about 5 seconds and I don’t know what to to? I started using IPiko 75 watt.last 2 days. But when I carry it in my bag the liquid gets leaked. Does it happens or else its a problem in the set/kit. As when tighten it should not leak. Kindly advise. Also its too hot while inhaling. I have been using the iStick Pico for 2 years now and have 2 of them. Once you learn how to navigate through the menu it’s bloody easy to use. I have both the 2 and 4ml tanks and have never had any dramas with this mod. I now make my own coils for the Mello 3 tanks and find they work better than the manufactured ones. Set mine to 35w and the coils last about 2 weeks. Great Vape. Dit is een geweldig e-smoker. Hij dampt erg goed en blaast een gigantische wolk.